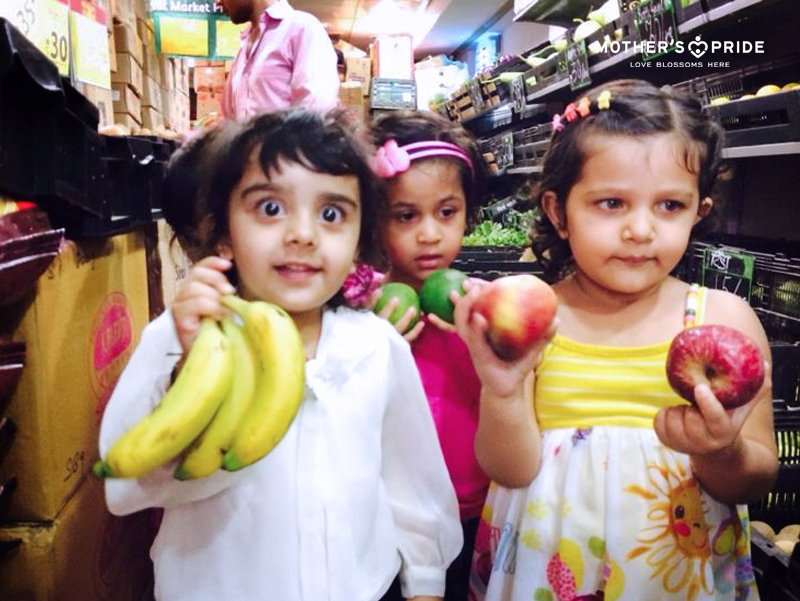 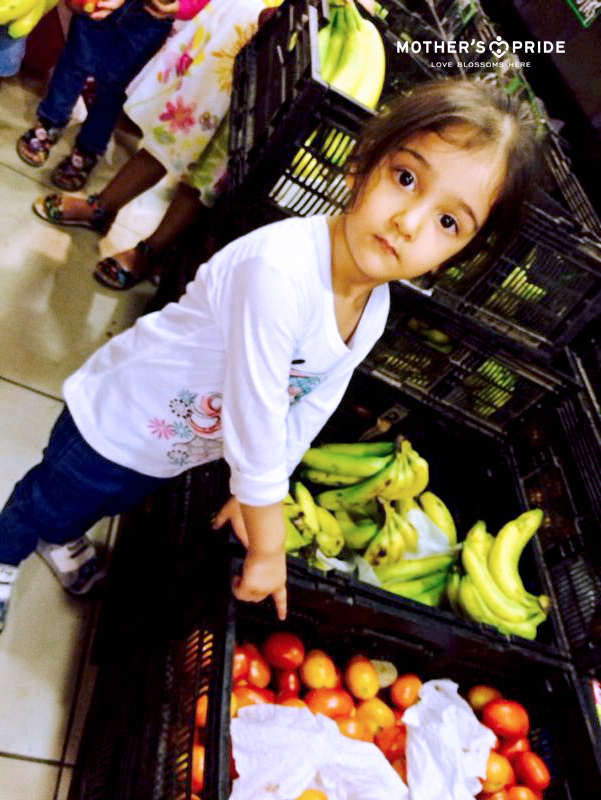 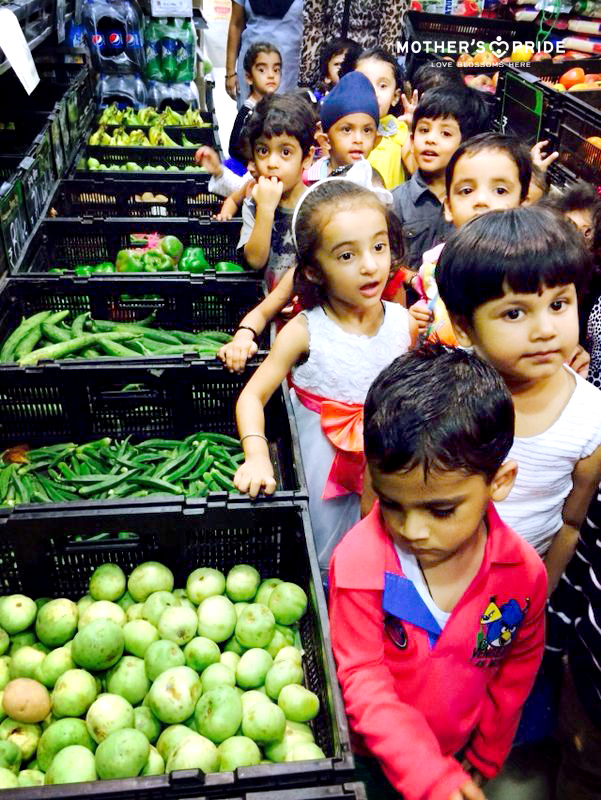 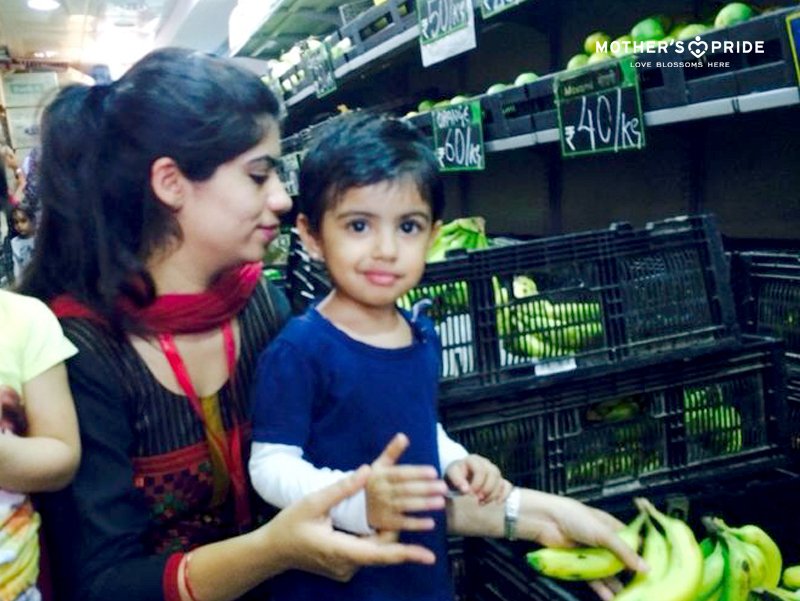 The children were taken to a grocery store to familiarize them with the real fruits and vegetables that they eat. 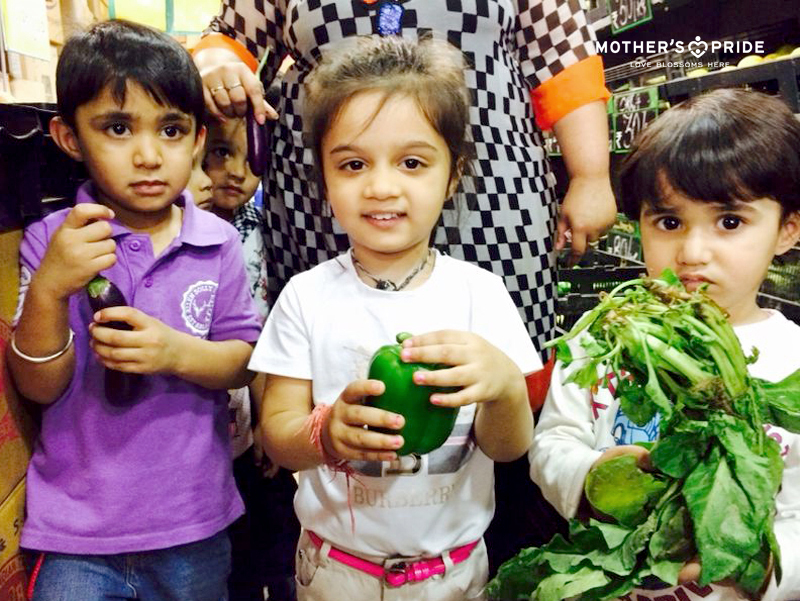 Children were given the opportunity to explore the fruits and vegetables by touching, feeling and smelling them. 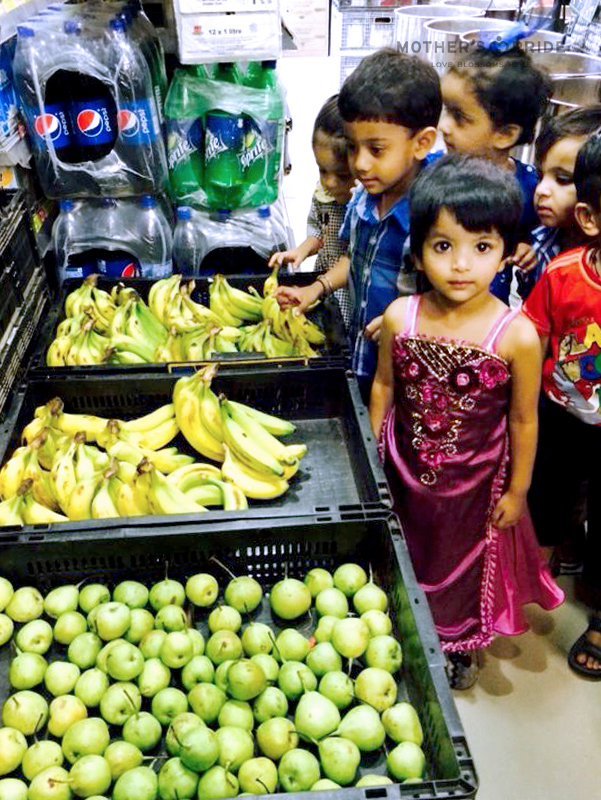 They were also encouraged to name them. 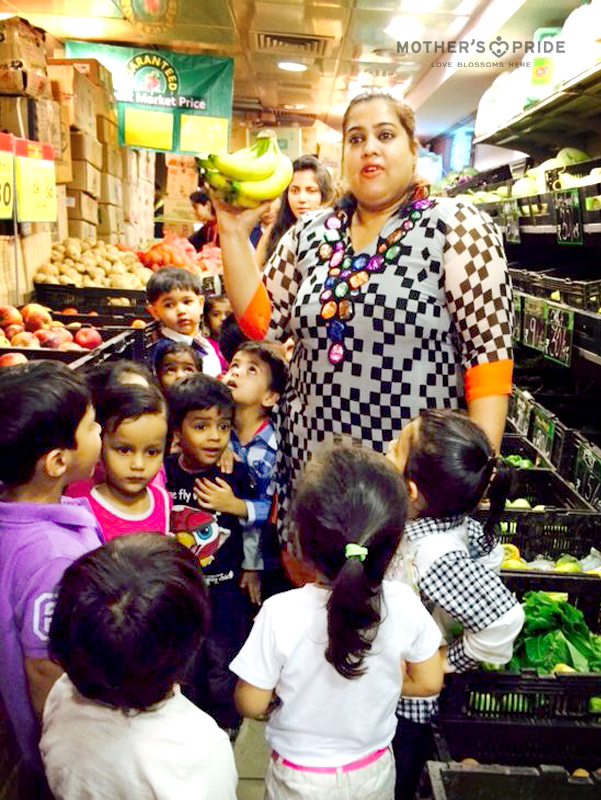 Reinforcement of the visit was done in the class by the teacher who encouraged children to share their experience of visiting the grocery store and asked them to name the various food items they saw. 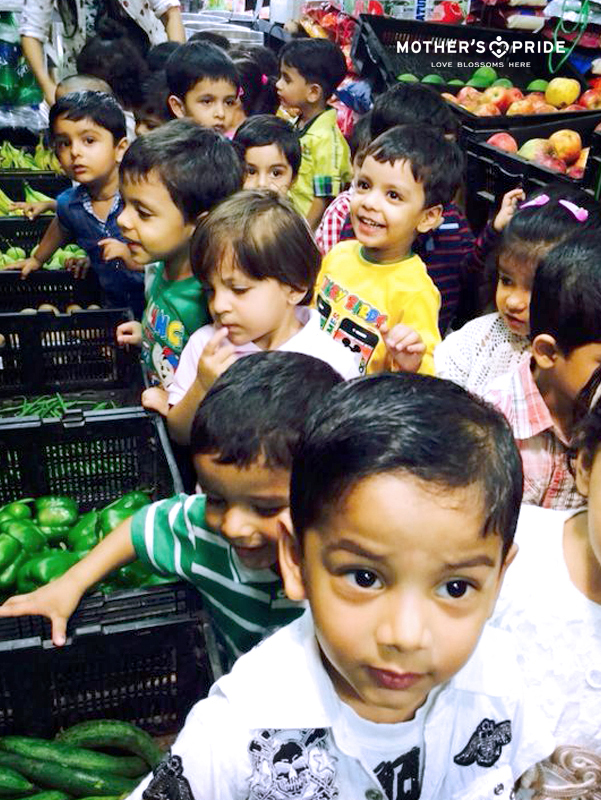 The entire activity enhanced their cognitive and social development.